Energy consumption monitoring, thermostats with remote sensors, wireless sound systems, Amazon Echo, Wi-Fi-connected electrical outlets, smart door locks – the possibilities are only limited by your imagination. Smart Home Devices are becoming a part of our daily lives. The infrastructure to support this bandwidth demand is in many cases outdated and by and large insufficient. FTTH networks and similar renditions (FTTB, FTTC, etc.) are the way of the future. New network installations and upgrades have provided fiber optic technicians with greater opportunities. We know as a technician you take great pride in your work and your reputation. 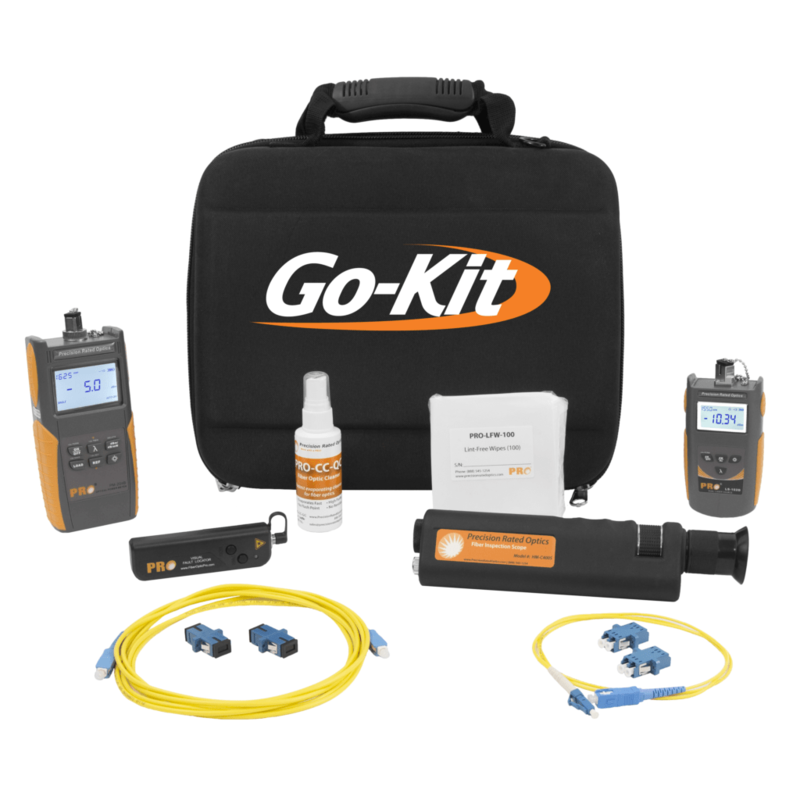 We want you to succeed during this advantageous time.The PRO Go-Kit® for technicians is a convenient, all-in-one toolkit that allows you to keep your fusion splicer, test equipment, tools, cleaning supplies, launch box and cable assemblies all in a convenient rolling backpack. 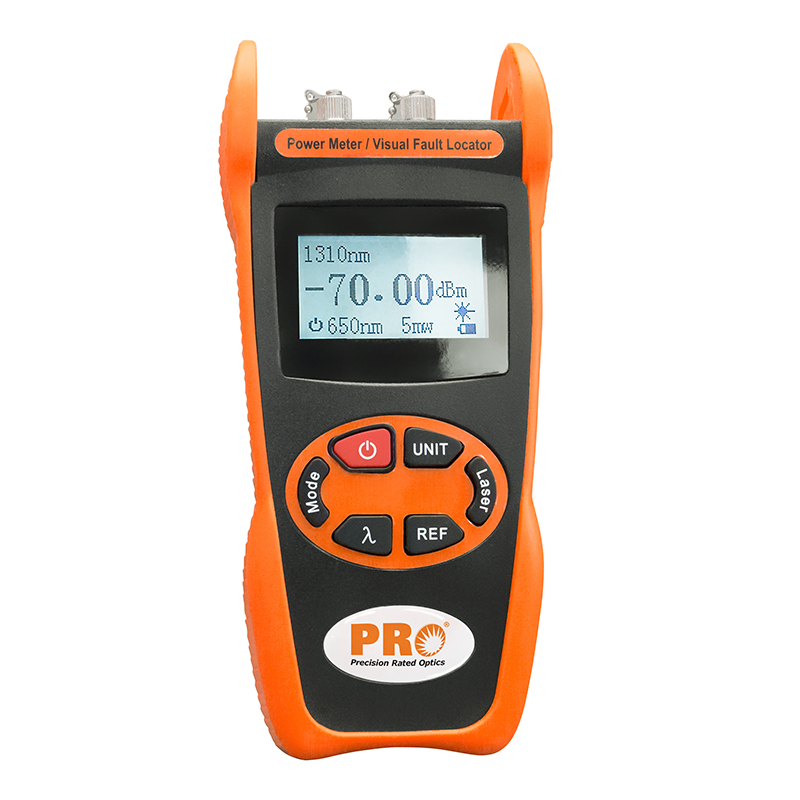 The PM-501X-VFL from PRO combines an Optical Power Meter and Visual Fault Finder in one easy-to-use unit, reducing the need to carry two different testing tools and lowering costs. The VFL has three different output power settings so it’s like having 3 VFL’s in one unit plus a power meter! 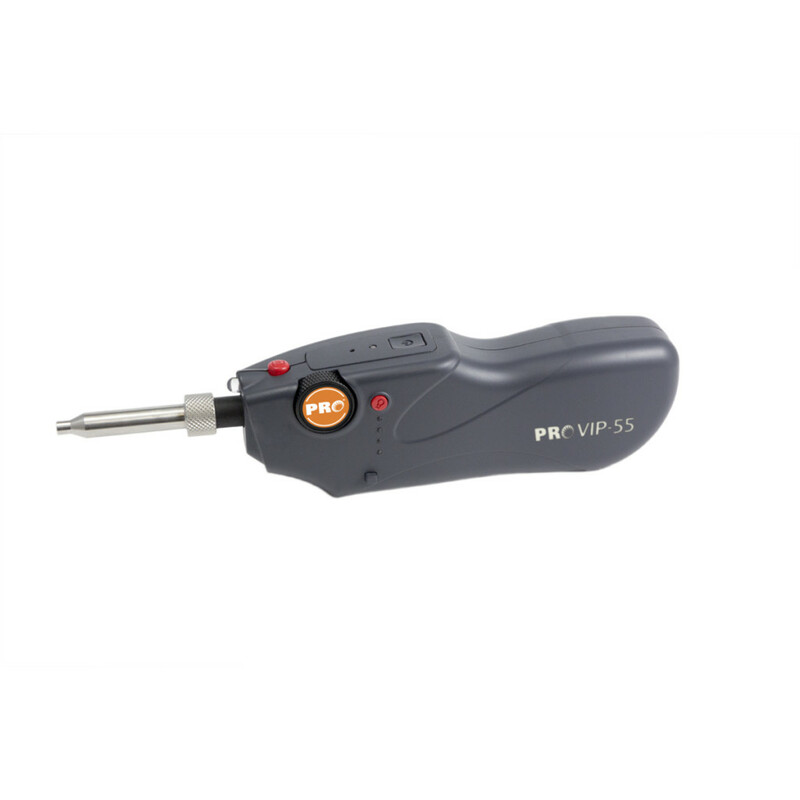 Available in two different measuring range options.